Caesars fountains Circa 1969 It doesn't happen often, but this is evidence that it happened at least once. 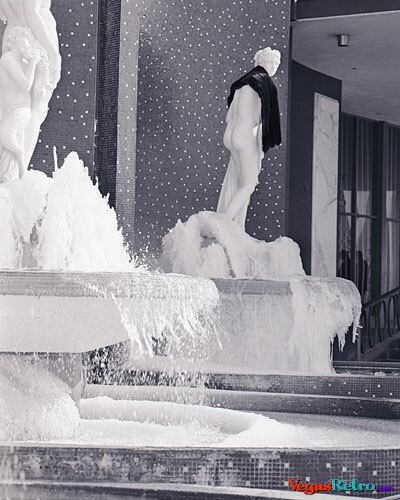 The fountains by the front door of the Caesars Palace hotel & casino in Las Vegas were found frozen overnight by cold temperatures in the desert. Some kind soul felt the need to give their mink stole to the shivering naked nymph, hopefully just until the ice melts.